Hi, my desktop PC has a weird problem recently. It takes a few try in order to power on my PC, I press the power button and nothing happen, but require a few try (something 3 times, sometimes 10 times) to work. Any idea? is my power supply dying. Btw, the little light inside the motherboard is always on(even if I turn off the computer). FYI, no problems restarting my PC, only powering on it. I'm using Nzxt lexa case. It certainly can be the PSU, but not necessarily. You can try reseting BIOS to default settings to see if something changes. 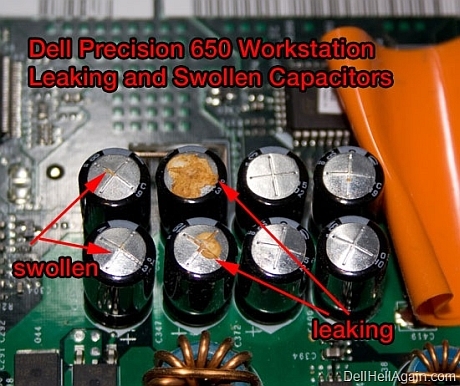 I recently had a system with the same issue as yours, and the problem turned out to be leaked motherboard capacitors. So you should open the side of your case and search for such caps. btw, the MB diode is always on, as long as the PC power cord is plugged in. Edit: I am assuming that with 'nothing happens' you mean that the fans are spinning but nothing comes up on the screen. If nothing happens(no fans spinning, no beeps, no lights except board diode light) then i will suspect the power button. Follow the wires that connect the power button to the board and remove it then use screw driver to touch the two power headers. I have a system with a similar problem and have determined it as a dry joint somewhere in the motherboard. Blowing warm air into the case with a hair dryer for a few minutes lets it start up normally and once started it runs and restarts just fine. Only a problem in winter. › On power on PC takes 1-2 minutes to turn on? I tried resetting BIOS and checking capacitor(no leak). Doesn't work. I found out that if I press and HOLD the power button, the success rate is higher(press 2 times to boot it up). Yeah, "nothing happen" = no fans spinning, nothing. Damn, I'm not good with wires...I don't understand what you mean by touching power headers with the screw drivers...so it will power it up? I'm a pure noob when it comes to electricity, am I risking to get electrical shock if I do that? I would check if the power on button works properly. Do what kuwese says. And, no, you won`t get an electricity shock. Make sure you short the proper pins though. My money is on the power supply being bad. In 10 or more years of repairing computers, I have never seen a power button or the wiring go bad. I recently did have a computer with the same problem as you and the power supply needed replacing.